Breast of chicken with a stuffing of sun blush tomatoes, ricotta cheese and chives wrapped in parma ham and roasted. BabaGanoush ? roasted aubergine pat? Tender Cheshire chicken in a white wine, dill and parsley sauce with carrots and leek topped with short crust pastry. A selection of crisp vegetables served in a mild cheese and mustard sauce seasoned with soft herbs covered with a short pastry crust. 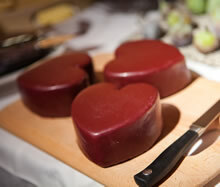 a tangy lime filling decorated with a chocolate heart. Fried white fish in a bajan seasoning and crumb crust with crisp lettuce & cucumber in a soft roll. 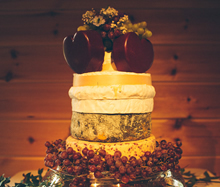 A substantial selection of cheeses for guests to help themselves buffet style during the evening. Served with water biscuits, oatcakes, homemade mango chutney, grapes and celery and fresh fruit. Whole lemon drizzle cakes served on vintage glass cake stands and cut at the table. Vanilla sponge with Mount Gay rum and an icing of white chocolate & créme de menthe. Top table will have dauphinoise potatoes as a special order! Best ever chicken liver pate. On each table for guests to help themselves? Best ever chicken liver pate served in individual glass terrines accompanied by baby leaves and homemade mango chutney. Cucumber raita, tomato & onion salsa with lime & chilli, poppadums, grated coconut, homemade mango chutney, sliced green & red chillies (for those who prefer their curries hot! Cheshire chicken in a white wine, dill and parsley sauce with carrots and leek topped with short crust pastry. A selection of crisp vegetables served in a tasty cheese and mustard sauce seasoned with soft herbs covered with a short pastry crust. Lemon tarts decorated with fresh raspberries. We didn?t have to worry about a thing! Thank you to Sarah, Neil and the rest of the team for our wonderful, delicious wedding food. Sarah, from the canap?s to the evening burgers, it was beautifully presented, efficiently served and tasted absolutely devine! Our guests all commented on how delicious it all was. And a big thank you to Neil for the smooth running of our day and keeping us in check! We didn?t have to worry about a thing! We knew from the first day we met you the decision to have you involved in our wedding was absolutely the right one, and we were not wrong! I have never had so much trust in anybody to get it right on the night... and that you did aplenty! What can we say? thank you just doesn?t seem enough! The job Sarah & Neil did on our tasting evening, on the lead up to our wedding, and throughout the actual day & night itself was truly exceptional, I have never had so much trust in anybody to get it right on the night? and that you did aplenty! Every single one of our guests (even the vegetarians!) raved about the food & decoration and in particular the personalised touches that you put in to make it so special. I could not recommend you highly enough for anybody planning a party of any kind and I will be sure to be back in touch for our big birthdays, anniversaries and dare I say it, our children?s christenings!! 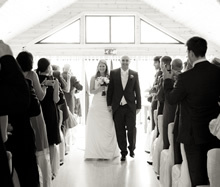 Thank you Sarah and Neil for making our day so perfect-it wouldn't have been the same without you guys! 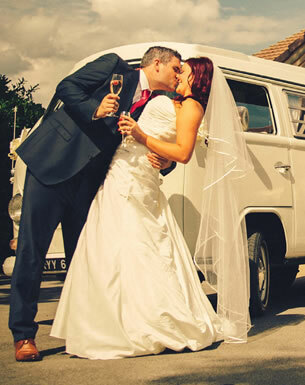 From the moment we met with Sarah and Neil from Pink Pepper, we were convinced they could help us achieve our perfect day - and we were right! What really made the day for me was their impeccable customer service-they really took pride in what they did and couldn't do enough to help us. They even sorted out the hiring of Bar tables for us and ensured the timings of the day ran like clockwork front of house. This took away any stress we might have had and allowed us to really enjoy the day. Pink Pepper, well what can I say?! were beyond what I could have hoped for, and Neil ensured the day ran so smoothly. And then on to the AMAZING food! Sarah?s Sticky toffee pudding was just something else! We had so many comments claiming that this was the best they had ever eaten! The whole meal was outstanding. 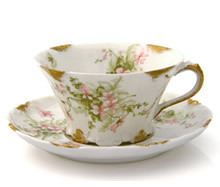 An added bonus was the use of lovely vintage china, which just added that extra bit of Pink Pepper sparkle! The sweetie cart was also amazing! The food and service by Pink Pepper was exceptional, we had so many guests saying it was the best food they have ever had at a wedding! Neil kept the day running so smoothly, and nothing was too much trouble. The sweetie cart was also amazing! We really can't thank you both enough for making our wedding day so special. Words can't describe how happy we are that we chose Pink Pepper as our caterers. Sarah and Neil, you were both so lovely, supportive and professional in the run up to the day, innately knowing exactly what we wanted every step along the way. best wedding food they have ever had. 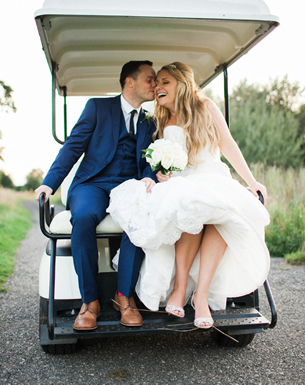 Neil was incredible, subtle and calmly steering the wedding from start to finish, and all your serving staff were efficient, friendly and really accommodating. In all, we had a perfect day! Pink Pepper thank you so much for everything! 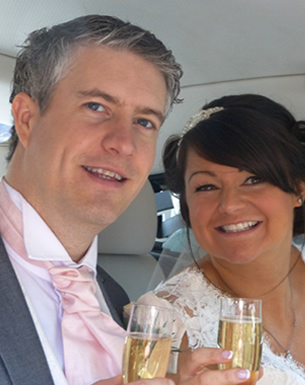 Neil & Sarah, thank you so much for all of you advice, ideas and assistance on the lead up to our special day. Thanks to all your hard work and expertise, the day went exactly as we had wished for! else looking for a wedding caterer! 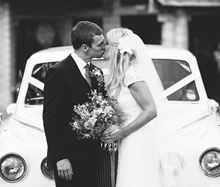 We can not thank you enough for helping to make our day so amazing! 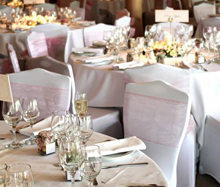 From our initial meeting with you, to the fabulous tasting evening and of course our wedding day itself?it was absolutely wonderful to work with Pink Pepper. We loved your attention to detail and of course your fabulous food?but most of all?we feel privileged to have met such lovely people. Thank you so much! All of our guests were just stunned by how lovely the staff were and how amazing their food was! We just wanted to say a heartfelt thanks to you, Neil and all of the team for making our day so special - you were all amazing and worked so hard to make the most wonderful evening for us, and the room looked incredible too! A special thanks to Neil too for looking after us so well. 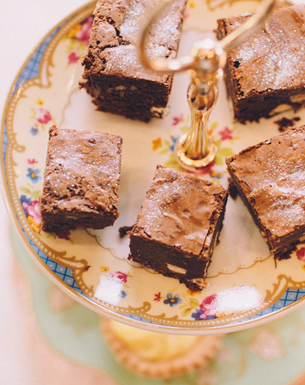 The brownies were the absolute showstopper! We knew as soon as we booked Pink Pepper that we were in for something special. 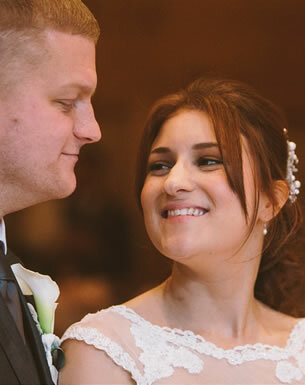 We cannot thank you enough for the amazing food and service you provided at our wedding! Our guests are still talking about how delicious the meal was, saying it was the best food they have ever had! The canap?s were delicious, which got everyone talking, and the lamb main with dauphinoise potatoes was fantastic. The brownies were the absolute showstopper! Thank you all for the support you provided during the day and to the run up to wedding. The whole day ran smoothly and we could not have been happier! We had the most fantastic day and couldn't have done it without all of you! 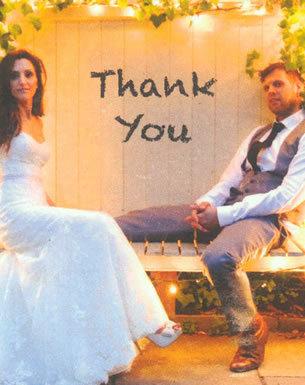 We would just like to say a huge thank you for everything you did to make our wedding day so special. From the first day that we met Sarah we got on with you so well and knew that pink pepper were for us. Sarah you took the time to get to know us and to understand what we wanted to make our day so personal to us. Neil you enabled our day to run so smoothly, without us having to worry about a single thing. The food and service we experienced from yourselves was outstanding and we wish we could do it all over again. All our guests commented on how wonderful the food was and how amazing all of the staff were with nothing being too much trouble. 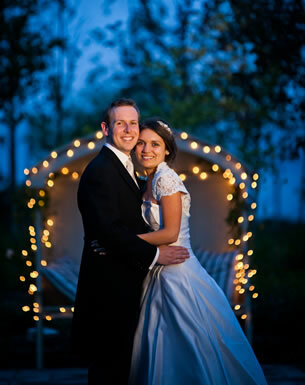 Sarah and Neil, thank you so much for the wonderful food for our wedding on the 7th May 2011. 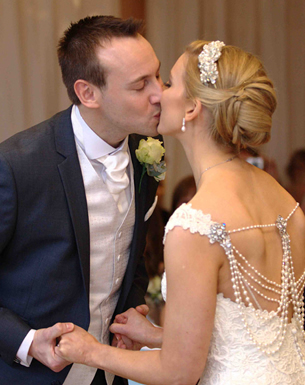 Right from the start we knew your personal service would compliment our wedding and the food tasting only reassured us that we had made the right choice. The food was beautiful on the day and the personal service we received as well as the many compliments from our guests were a testament to the hard work from you and your staff. We can't thank you enough for the wonderful catering at our wedding. The food was out of this world and so many guests have mentioned to us how delicious it was on the day. 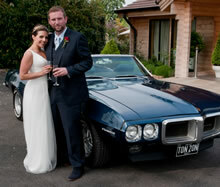 The service was excellent, so professional and everything went to plan. Neil, you were a marvellous 'Master of Ceremony' and Sarah you were so wonderful with us from the start, helping us to design a great menu. The guests couldn't believe how well you cooked the steak to everyone's liking! We really couldn't be happier with how the day went and the huge part Pink Pepper played. we really couldn't have asked for anything more! Working with Sarah and Neil has been a delight! It doesn't feel like you're working with just any supplier, but a couple who really want to help make sure your special day is perfect in every way. The support and service, both before and during the big day, was second to none and we really couldn't have asked for anything more! The food was absolutely delicious and the guests are still talking about the food now! Sarah and Neil, thank you so much for everything, you're the complete package and this isn't the last you've heard from us!! Your help and advice prior to the wedding was invaluable! 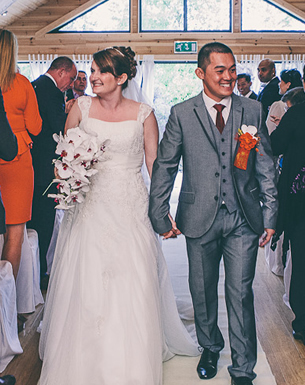 We would like to thank you very much for the amazing food and service you and your team provided on our special day! Your help and advise prior to the wedding was invaluable. Everyone commented on how everything tasted fabulous, and the lovely presentation of each course. The effort that you put into the Nigerian main course was very much appreciated and it went down a treat!! 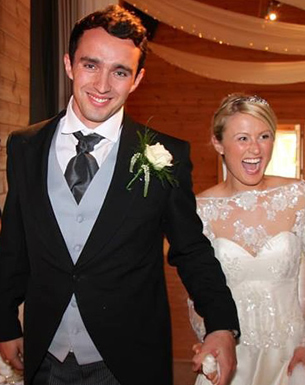 Once again we would like to thank you both for making our wedding so special from start to finish. 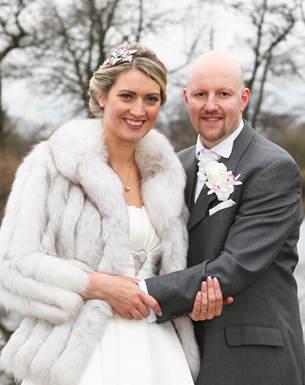 Thank you so much Sarah & Neil for making our wedding day so amazing! 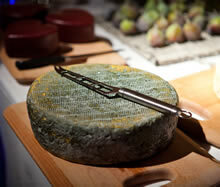 Everyone commented on how lovely the food was, especially the fantastic cheese table! Thank you Neil for co-ordinating the day, and making it go so smoothly, with everything running on time! 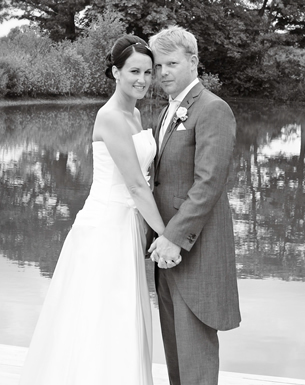 Sarah & Neil, what an amazing team! The food at our reception was absolutely amazing. Everyone loved it and even said it was the best food they've ever had at a wedding. The chocolate brioche pudding you cleverly created for us was a hit! I do hope its something that you've added to your menu choices. Nothing was ever a problem and the sampling evening was incredible. 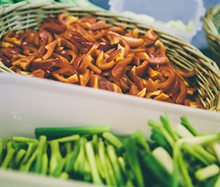 So much delicious food to choose from and we were so grateful that you could produce such great food to our specified budget. You all work so incredibly hard and we will always recommend you. Thanks you so much for the fabulous food on our wedding day. Thanks you so much for the fabulous food on our wedding day. It went really, really well! Exactly what we wanted! We even had some of the guests who asked for chicken eating bowls of moules as well! 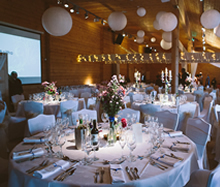 With Pink Pepper, you don't just get brilliant food, but also gorgeous decorations, expert wedding and catering know-how, along with Neil who will make sure everything runs perfectly on the day. 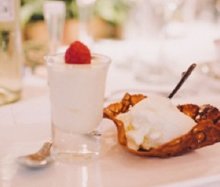 All of our guests commented that the food was the best they had ever tasted at a wedding, and it really was delicious. 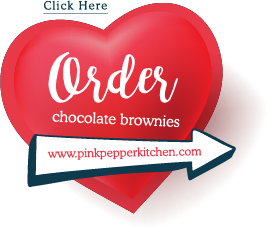 We are so thrilled that we chose Pink Pepper! Well, what can we say. 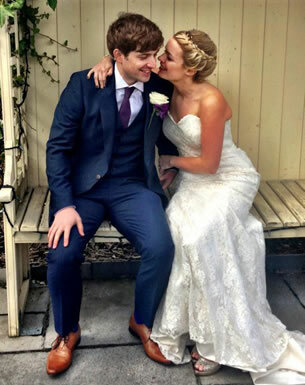 Thank you so, so much for giving us the best day of our lives! You made everything so easy, the food was incredible... We can't begin to tell you how many people have raved about how amazing it was! You were a joy to be with and the efforts you went to were truly overwhelming. 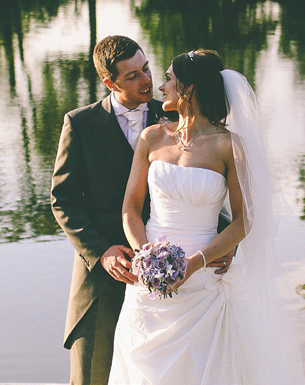 We will never forget the wonderful personal experience we had with such a lovely couple. Thank you from the bottom of our hearts! 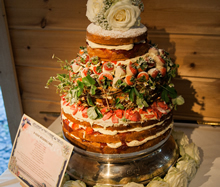 The food was amazing, the flowers were beautiful, the room dressing was breath-taking and the wedding cake was divine! 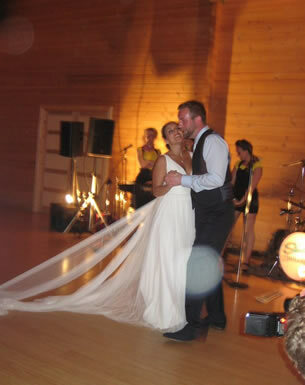 Sarah and Neil, what can I say - in the words of nearly every guest ?it was the best wedding ever!? 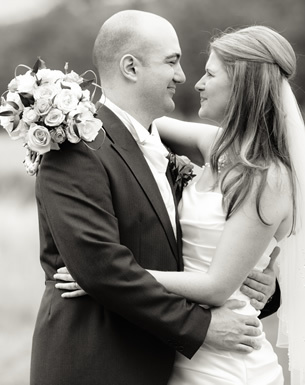 From we day we first met, to the day Neil waved me off from Styal Lodge on the morning after the wedding - you were both an integral part of helping to create the perfect wedding. 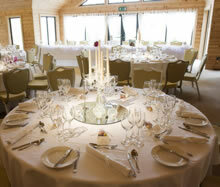 The food was amazing, the flowers were beautiful, the room dressing was breath-taking and the wedding cake was divine! All the lovely personal touches you did for us on the day were fantastic. You created an atmosphere that was just ?us?. We honestly cannot thank you both enough! Wedding perfection with the perfect Pink Pepper! All the Thank you cards we received so far, have all mentioned the food in particular. They loved it all. You did us proud from beginning to end. The canapés went down a treat. The starters were a good ice breaker as it got people talking to each other by passing plates around. The lamb was so tender, everyone loved it. The dessert was spot on after that meal. 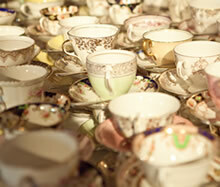 The cups and saucers were much admired and we all loved the petit fours. The cheese table was spectacular and I am so glad we had it. It just made it that bit special. When the midnight munchies arrived, you would have thought the guests could not eat any more but the smell of grilled bacon got them going again. It all worked like clockwork thanks to your perfect timing and professionalism. We knew when we chose you we would be in safe hands and we thank you for being patient and listening to us till we got the menu right. Thank you so much for making our wedding day so special. 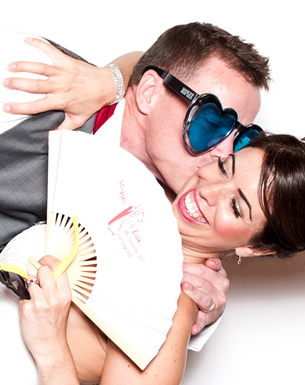 From our first meeting with you we knew that Pink Pepper was exactly the caterer we wanted for our wedding. Sarah ? you helped us create the perfect wedding menu and were enthusiastic to hear our ideas and nothing ever seemed too much for you. The food was absolutely amazing and all our guests are still talking about it. Neil ? 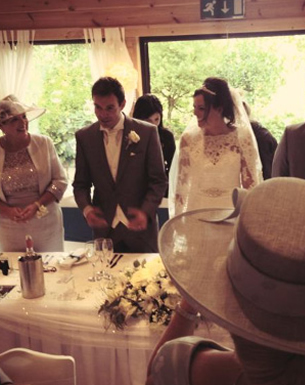 the service was excellent and you made us feel that we could get on with enjoying our day without having to worry about anything; you ran the day to perfection. 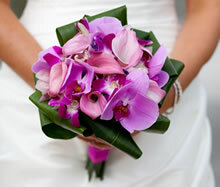 Your service before and during the wedding is above and beyond what we could have wished for. 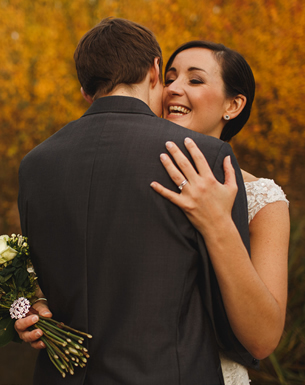 We feel like you are part of our ?wedding family? and we will definately stay in touch! 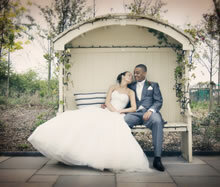 The Pink Pepper staff were attentive, professional and friendly and really did ensure that our day was truly special. We know that you are supposed to say nice things on testimonials, but we cannot compliment the service and food enough. Each and every guest commented on the delicious food that surpassed our expectations. 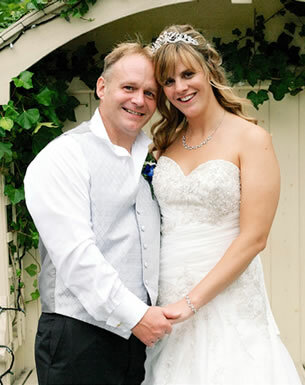 If we were able to, we would hire Sarah and Neil for any future special occasion, and suggest that you do the same!! The food was absolutely outstanding! 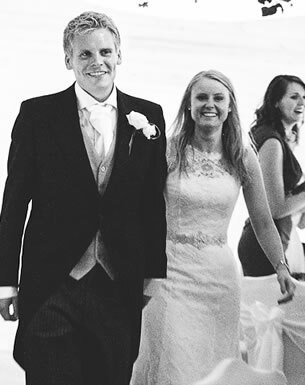 We have now finally come back down to earth from celebrating our most wonderful wedding in September! The food was absolutely outstanding, and all the Indian guests could not believe it was made by an English chef! Thank you so much for making it such an amazing and unforgettable day! What an incredible team Pink Pepper make!! The food looked and tasted fabulous? 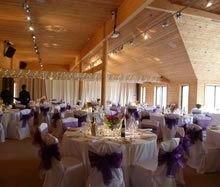 It received so many compliments from our guests, many of which said it was the best food they'd ever eaten at a wedding! Neil did such a fantastic job of co-ordinating the day, he made us feel completely at ease and ensured that everything ran smoothly. 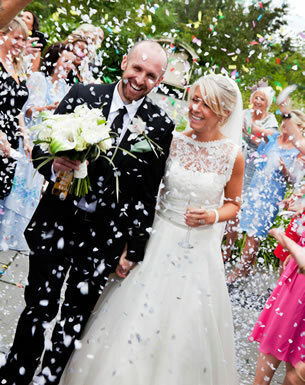 You were an integral part of our day and we'd like to thank you both for making it so very special! 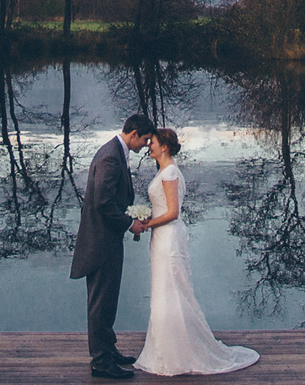 Thank you for making our wedding day so special and memorable! Our experience with Pink Pepper was first class from start to finish! You took care of everything and allowed us to relax on our special day. 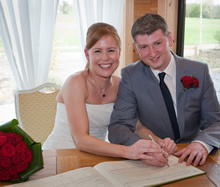 We had complete confidence in Sarah, with her team in the kitchen and Neil looking after the waiting staff. 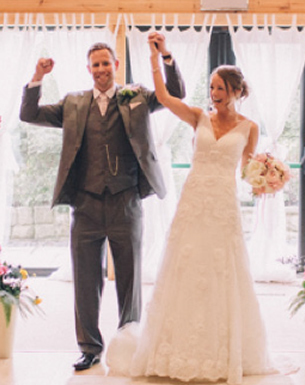 Sarah and Neil were so professional, and brought everything together by ensuring that everything ran smoothly, and constantly attended to our guest?s every need. 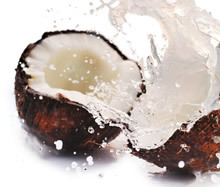 Nothing seemed too much trouble, and we are so grateful for everything that you did for us! One of our guests confessed to enjoying the mini mince pies so much he had eight of them! 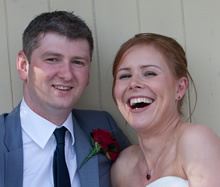 Sarah and Neil, thank you so much for the amazing food at our wedding. Everything was perfect, right through from the canap?s to the midnight munchies. Six months later we are still getting compliments on the food - one of our guests even confessed to enjoying the mini mince pies so much he had eight of them!! We really can't recommend Pink Pepper enough! 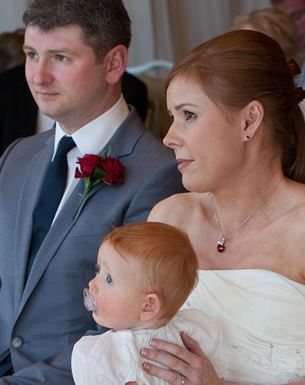 Sarah, Neil and everyone at Pink Pepper, thank you so much for your flawless service at our wedding. Everything was fantastic and you looked after us so well! There were lots of compliments on your attractive and tasty food... You guys are the absolute best! Thank you again so much for everything, and look forward to some more of your incredible chocolate brownies soon! Choosing Pink Pepper Caterers for our wedding was the best decision we could have made. Sarah's delicious custom made menu and the front of house offered by Neil and the team blew us away. So many guests commented on how amazing the food was and the 'Pink Pepper' touches really made the run up and the day very special. Thank you so much for your creativity, professionalism and lovely way of doing business! The food, flowers and cake were all amazing! Thank you so much for all your help and support, both in the lead up to the wedding and on the day. I?m not sure what we would have done without all your help and support! The food, flowers and cake were all amazing! The guests still talk to me about Sarah?s amazing pies! It made it all so much easier that you could do everything. 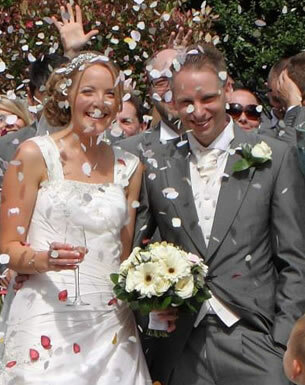 Sarah your support with themes and colours was invaluable, as were your calm organisational skills on the day Neil. 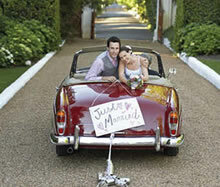 The lead up to the wedding day was totally stress free; nothing was too much trouble. Everything was just perfect. We only wish that we could do it all again! Thank you hardly seems enough! From the moment we met you both we instantly knew that we were in safe hands. 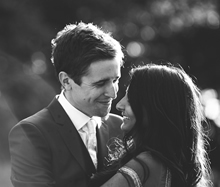 In the run up to our wedding you really took the time to get to know us and understand what we wanted, which really helped us to create our perfect day. On the day itself everything was more than we could have dreamed of! The food was amazing and was exactly what we wanted, the flowers and cake were so beautiful. We really couldn?t have had such a perfect day without all your hard work. 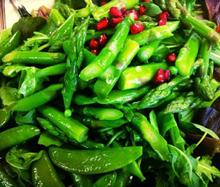 Pink Pepper is so much more than a caterer, we simply cannot thank you enough! 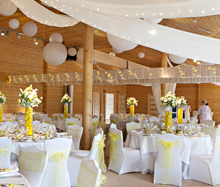 We were really impressed from the start with Sarah and Neil's ideas for our wedding. 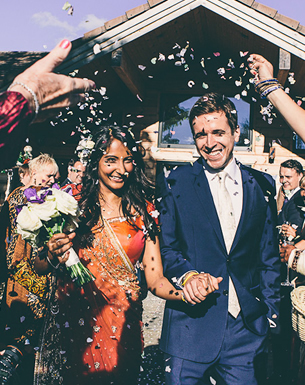 They instantly stood head and shoulders above anyone else we had spoken to and became an integral part of the success of our wedding day. I am a little bit of a control freak, but Sarah put me at ease and I was able to trust that Neil would keep the day running smoothly. Without a doubt the food was amazing, all our guests commented on the quality and taste of the meals. 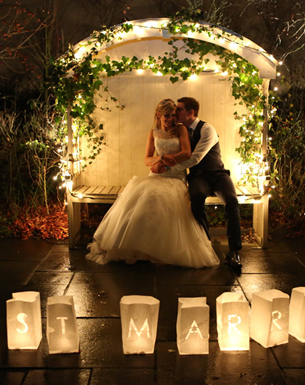 On top of catering for 100+ guests, Sarah and Neil also dressed our venue, and it was exactly how we envisaged it. Our needs were not just met but exceeded. We would have no hesitation recommending Pink Pepper. Thank you so much for making our wedding day so special and memorable. We didn't even do a tasting, and by heck, the food was gorgeous! see what type of characters we were and hence why big ticket items, such as all the flowers, were left fully in Sarah's hands. 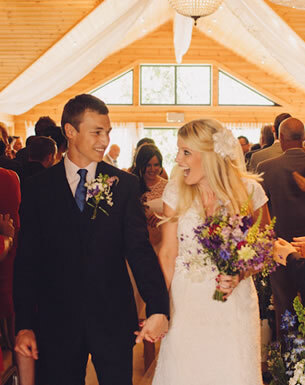 Neil, every guest said that you made it so easy and stress-free, and it was just like a huge family party! I mention the food last because for me it was a given... We didn't even do a tasting and by heck it was gorgeous! 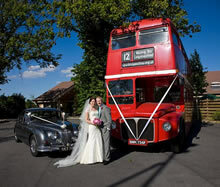 Our guests have said they?ll be talking about our wedding for a long time! 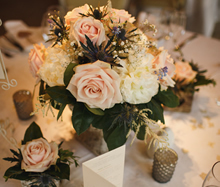 We really appreciated all your ideas, enthusiasm and creativity in helping plan our perfect menu, room decorations and flowers.Everything came together perfectly for our ?festival themed wedding?. All our guests commented on how amazing the food was, and how generous the portions were. Neil was excellent at being Master of Ceremonies and kept the day flowing! Your professionalism and personal touches from start to finish were incredible in helping make our day simply perfect and one that our guests have said they?ll be talking about for a long time! Thank you to everyone at Pink Pepper for making our day exceptional. 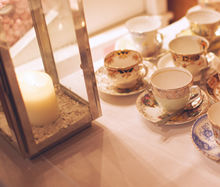 The food was amazing & received high praise from our guests, with details such as the vintage teacups, peppermint hearts and glittery raspberries made the meal memorable. 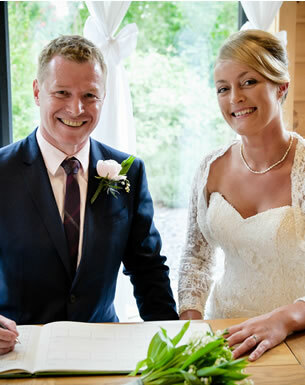 Your wedding planning experience is second to none, when on the day you suggested some last minute changes to the timings due to the weather which really helped to keep our day running smoothly. Sarah, thank you so much for the wonderful food and service from you and Neil and the rest of your team, everyone has praised the food, it was delicious. 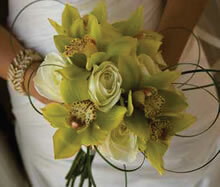 Your help and advice prior to the wedding was invaluable it was like having our own personal wedding planner! My flowers all looked wonderful, bouquets gorgeous, in fact we loved every single thing about our wedding it was just perfect. We are still smiling inside and out! Once again thank you so much to both of you and making our wedding so special. From the bottom of our hearts? THANK YOU! 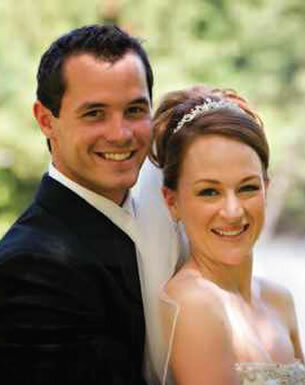 From the moment we met you Sarah we just knew you were the person we needed to cater our wedding day. 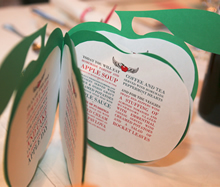 Our requests, which may have been out of the ordinary to some (an apple themed menu?! 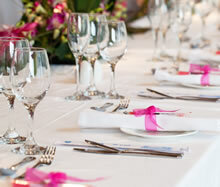 ), were met with enthusiasm and ideas beyond anything we could have anticipated from a caterer! We felt completely safe in your hands. You not only supplied our catering but had wonderful ideas for our stationary and d?cor. On our wedding day the food was out of this world. Months on, and our guests are still talking about it! And Neil as our master of ceremonies ensured our day ran without a hitch. Sarah and Neil, thank you so much for the exquisite and super-scrummy food you made for our wedding celebrations. Our guests are still raving about the canap?s, the fabulous gin and tonic sorbet, the beef filet which melted in the mouth and the world's yummiest brownie. The fact that there were seconds (and for some people thirds!) blew their minds! You were also so integral in making the day run smoothly - as wedding novices, we had no idea what should happen, but you quietly organised everything without us even noticing. We can't thank you enough.